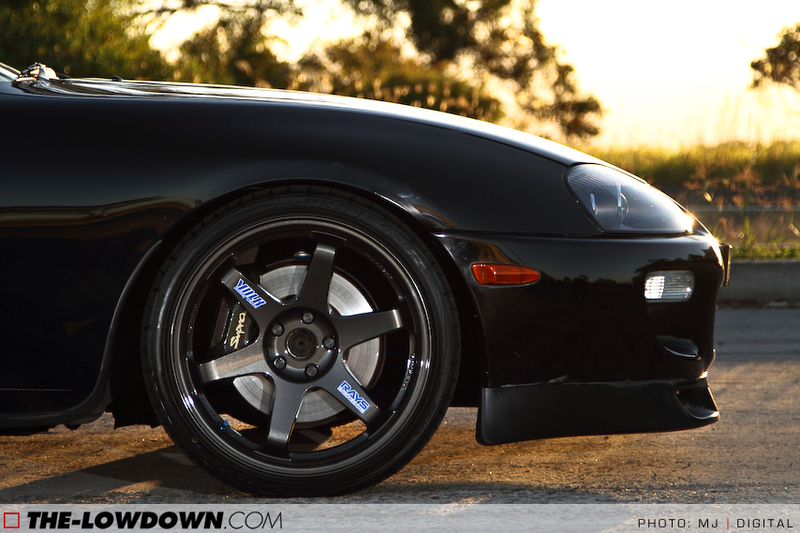 Time Attack season is almost upon us, with World Time Attack Challenge just around the corner (click here for my photos from 2010), I thought it would be a great time to share this long-term build from Australia. 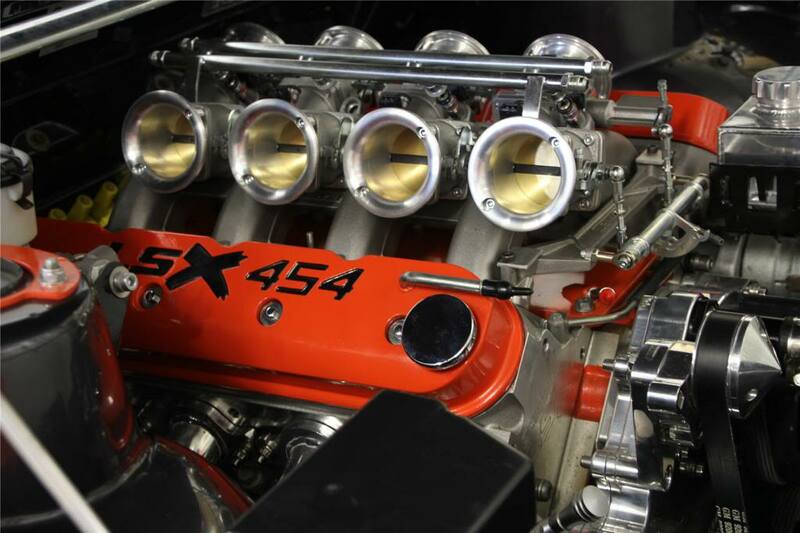 The brainchild of a Mazda aficionado and die-hard collector, this NC MX5 welcomes the addition of firstly a supercharged Renesis 13B, and then a 20B 3-rotor with individual throttle bodies and a whole host of goodies. Apart from all the CAD screenshots, machined metal goodness, fabrication, welding and general race-car building, you’ll also find a bonus R35 GTR build and a visit to Mazda HQ in Hiroshima within the thread. Thanks to David from MX5CarTalk & Pixel Culture for submitting. 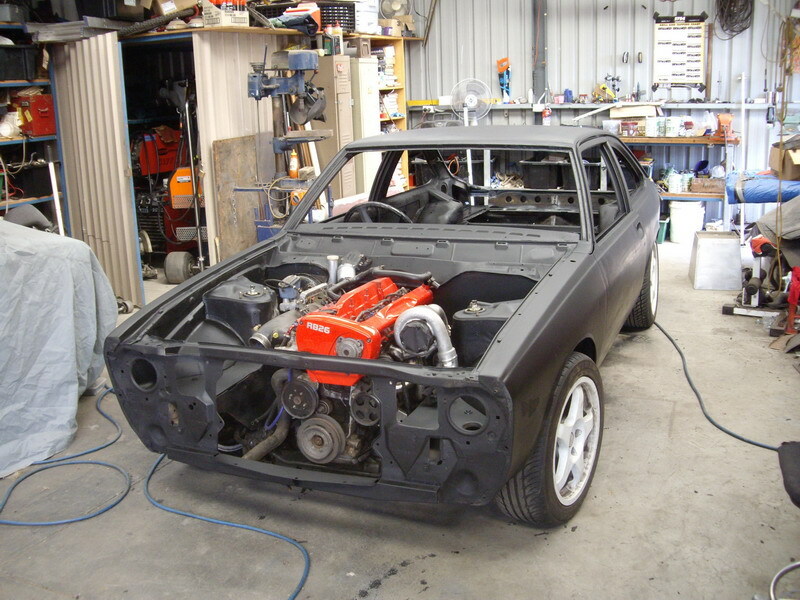 Click here for more rotary-powered builds. If you’re an Aussie, like I am, then you’d be well versed in the Holden vs Ford debate, even if you don’t fancy either marquee, it’s an argument with no expiry date. Almost as well known as this red and blue rivalry is the tale of the Nissan Skyline GTR dominating the touring car races of the early 90’s, a story regularly re-told by many a Skyline owner with a smirk on their face. It’s fair to say the Skyline was not liked by Holden and Ford fans of that era. So what do we make of this, then? 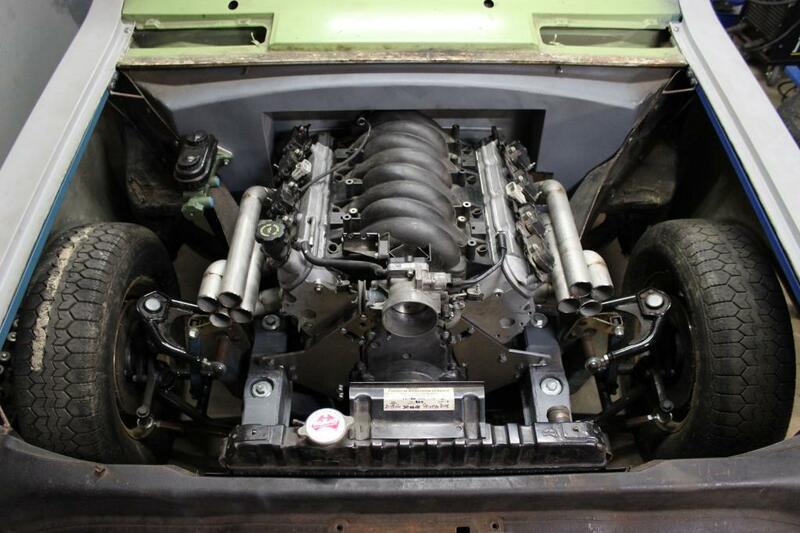 A Holden LX Torana fitted with an R32 Skyline GTR engine and AWD system. Two ex-Bathurst legends which would have been fierce rivals on ‘The Mountain’ were it not for the age gap, now combined into one machine. Personally, I love it, and I thank you for following that very drawn-out intro that possibly makes little sense at all. Thanks to Travis for submitting. This next build was found via Instagram of all places. I noticed a new follower pop up in my feed, clicked on his profile and I was greeted with images of this Pro Street ute build. 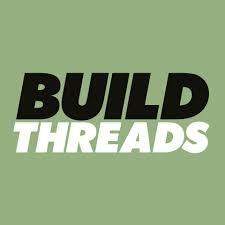 After a few comments back-and-forth I located the build thread online and now I want to share it with you. The car in question is a 1966 HR Holden – an Australian car manufactured under our local GM banner – being transformed to a full chassis drag car in the owners garage. 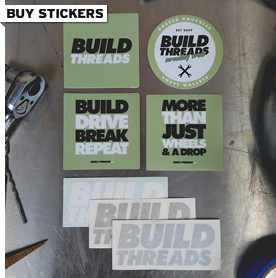 By the way, there is no official Build Threads Instagram account, but feel free to tag your projects with #buildthreads to share and connect with other readers. Click here for more ute builds. I was reading up on this thread a while ago, however I stupidly forgot to note it down and in-turn forgot about it until very recently when Christian submitted it via email and brought it back to my attention. This car interests me for a few reasons. Firstly, it’s different, which always makes for a good feature. Secondly, it’s Australian, and I love featuring home-grown builds. Third, it’s an un-orthodox choice for a drift car, it’s always good to see people trying something different. And lastly, because when I grew up we had one of these (albeit stock) as our family car. The XD Ford Falcon, an early 1980’s square edged family truckster, built like a tank and usually heard labouring up hills with the 4.1ltr inline 6 sounding like a giant exhaust fan. Not this one though, XDRFT2 is the second incarnation (hence the “2”) XD drift car to emerge from the Mobile Mayhem stables, powered by a 410ci Cleveland V8 and sitting atop a complete coilover set up from RSS. Builds like these are extremely interesting because you get to read about all the issues that need to be overcome when developing such an un-proven platform to a competitive level, not to mention the amounts of clever weight reduction needed when starting with such a heavy base. This is one of those great tech-filled threads with lots of images and information, I’m sure you’ll enjoy it. A few of the boys over at JDM Style Tuning, have collaborated to launch a new blog devised to showcase some local Aussie talent titled The-Lowdown. Time and time again, car enthusiasts from our great country cry foul after viewing images of car meets from abroad, constantly bickering about how bad our scene is compared to what’s on offer overseas. Well, newsflash, we have plenty of top-notch cars and a great scene to boot, just no global soapbox from which to broadcast and filter only the best content. The-Lowdown is that soapbox, so head over there and hear what they have to say. I threw this little flyer together for Dom who’s organising the 2010 South East Dub Fest. I thought it came out pretty nice, although I’d love to do a more intricate one for another event when I have more time to spare. 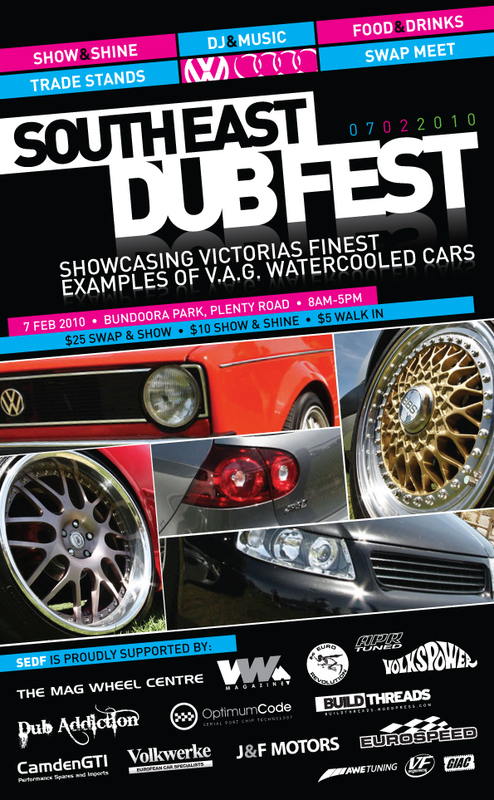 Any Melbournians who are interested in the VW/Audi scene should come and check it out.